There’s no need to say that the web has become one of the most important things of modern-day business. Almost every business out there has a website and uses it to attract customers and sell their products or services online. If this is the case with you, you might want to pay some extra attention to your website maintenance. Why? Well, if you don’t, all of your SEO efforts will go in vain since you’ll lose your search rank. On top of this, by maintaining your website, you’ll be offering your customers the ultimate experience, which is definitely something you should aim for. And if you’re still not convinced, here’s why onsite SEO and regular website maintenance are important. If you’ve invested in SEO, you probably know that the rules of SEO keep changing. What this means is that experts at Google keep working on their algorithm in order to provide users with all the important information they look for. That’s why you simply have to update your website’s information, which also counts as website maintenance. By doing this, you’ll make sure Google presents the users with the latest information about your company and encourages them to buy from you. As you keep updating your website’s information, Google is going to improve your rank, which is always a good thing. On the other hand, if you fail to do this, Google is eventually going to downgrade your search rank and you’ll be missing out on plenty of new customers. We live in an age where new trends emerge on a daily basis. This rule applies to websites as well, meaning that you simply have to keep up the pace with them. If you don’t do this, all the companies that keep up with the newest website trends will outrun you. This is the case because these trends usually regard things such as speed and usability of your website. And since people prefer fast and easy-to-use websites, investing in these trends rally is a no-brainer. So, if you maintain your website on a regular basis, staying up-to-date with these trends will be a real piece of cake. This means you’ll be keeping your customers happy, which is definitely something you should be aiming at. Not many people know exactly what factors are important when it comes to onsite SEO. This leaves them believing that their titles and descriptions don’t matter. Still, these matter quite a lot and if you don’t have your titles and descriptions optimized for SEO, you’re making Google’s task more difficult and chances are things won’t work in your favor. But how do you optimize your titles and descriptions? The most important thing to have in mind is that you shouldn’t have your title be longer than 60 characters and your description be longer than 150 characters. On top of this, it’s also important for you to understand that there’s no point in stuffing your keywords in these as much as possible. Just make sure your title and description give users an idea on what your website is about and you’ll do all right. Chances are you’ve heard of hackers targeting businesses, stealing from them and putting their reputation at risk. Of course, this is something you should try to avoid by any means. Luckily, this is something you can do by maintaining your website regularly, since there are updates and protocols designed specifically to make your website safe. For example, there are penetration tests you can do in order to determine how easily a hacker can breach your security. What these tests do is help you identify any weak spots in your security system that might allow hackers to perform a cyber attack on your website. So, if you run website maintenance on a regular basis, you’ll know exactly what your vulnerabilities are and what you can do in order to make your website safer. Today, anyone can easily start their own business. What this means is that there are companies at every corner of the web and if you want to stand out from the crowd you can’t just sit idle. So, if you decide not to maintain your website regularly, you’ll fall behind all the other companies that do. And why would a consumer choose you over someone who maintains their website properly? Not to mention that all the companies that do care about website maintenance will have an advantage over you when it comes to SEO. And if you end up in some of the latter pages of Google search result, you might not be able to survive on the market for too long. So, keep up the pace with your competitors and don’t let the lack of website maintenance hurt your entire organization. 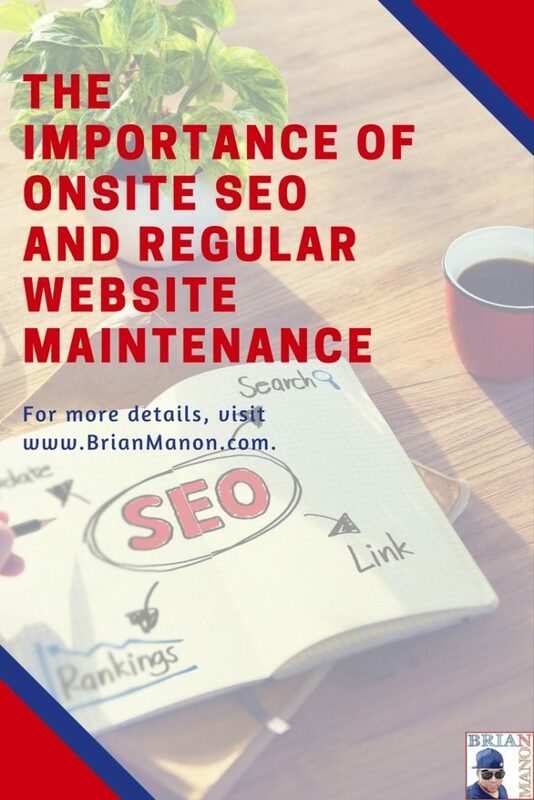 The bottom line is, onsite SEO and website maintenance will play a huge role in any success your company’s going to have. Choose to overlook them and you’ll make things much more difficult for your business. 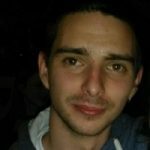 Raul Harman is the editor in chief at Technivorz blog. He has a lot to say about innovations in all aspects of digital technology and online marketing. You can find him at Twitter and Facebook. These are all great tips! I’ve only gotten serious about my SEO in the past six months and wish I did it sooner, such as being better about page titles and descriptions. SEO does keep changing and its hard to remember all the things. But, I think focusing on the tips you suggested helps. I also use a SEO plug in to help guide my SEO. I feel like the SEO rules change waaay to much so yes, you do need to be on top of them! If I think about how quickly and often SEO changes, I would be too frightened to do anything with my website! So, whilst I may not be across all of it, I do my best and stick to as many best practices as I’m aware of and upskill whenever I can. I have the added advantage of being a writer, so I can pump out high quality content which helps immensely! Great post. Thanks for the tips! SEO changes so often it’s hard to keep up!! Great post. SEO is super important and keeping up to date is a most.